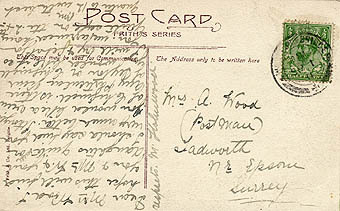 Postmark: 6.15pm. 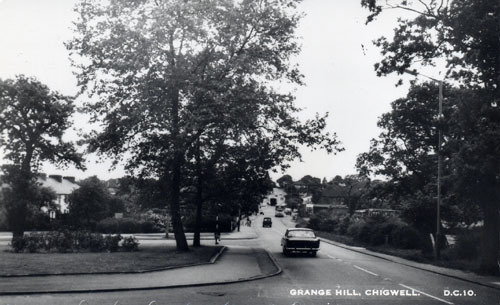 27th October 1963. 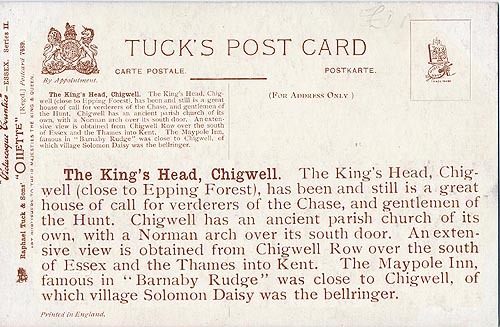 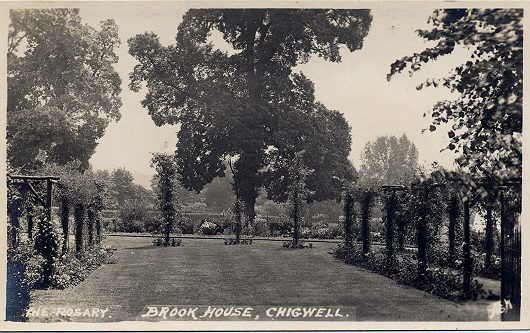 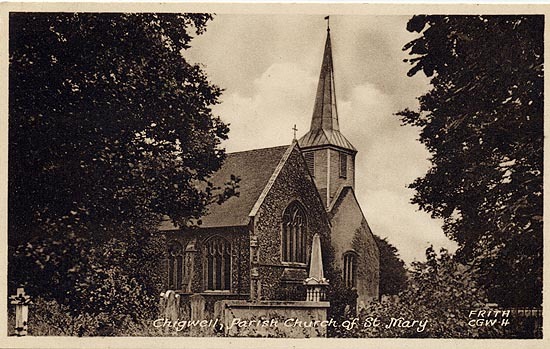 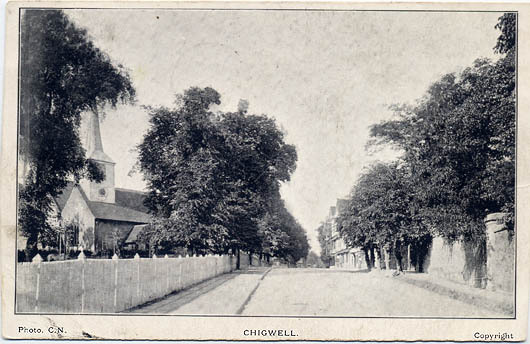 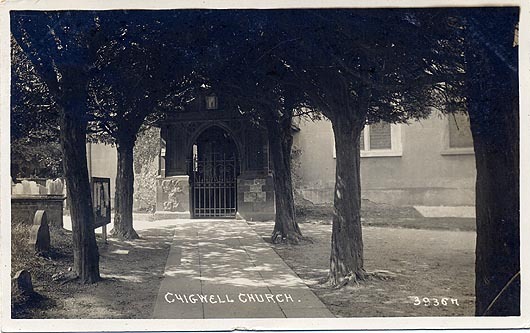 Published by E. E. Rickett, Stationer, Buckhurst Hill. 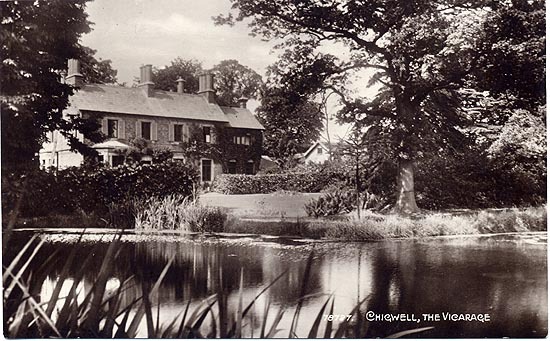 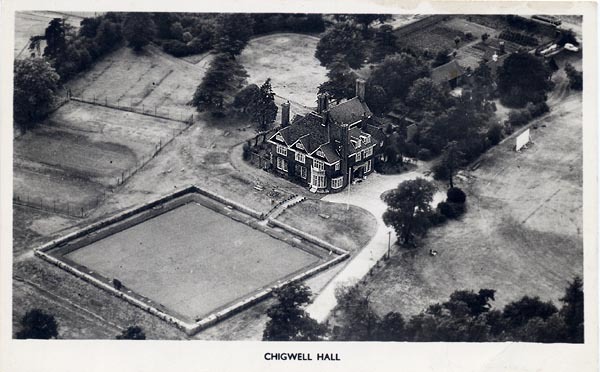 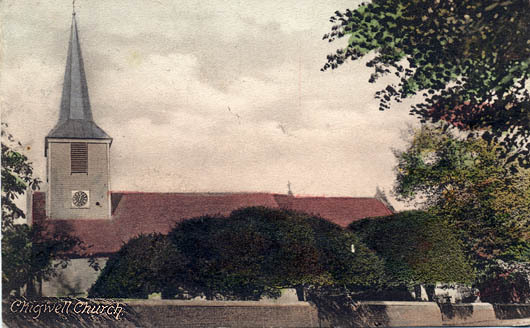 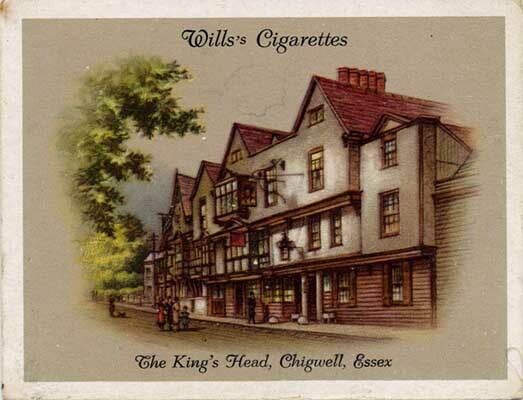 See above card - The Misses Wilton were residing here in 1904. 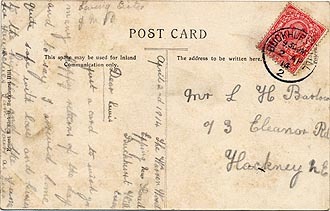 All three cards are unused, undated. 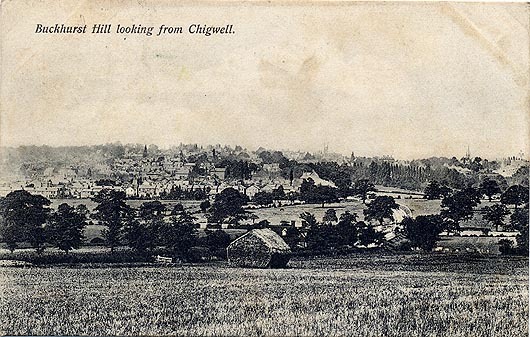 There was a farm in Piercing Hill called "Purlieu"
Posted Sep.1 1911 Geo V. ½d PO not clear. 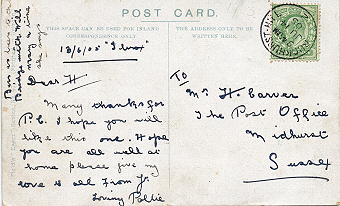 George V halfpenny stamp green. 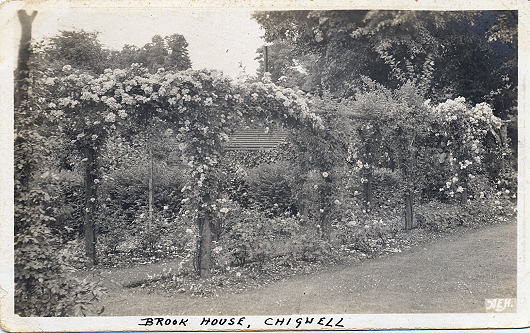 From Irene Hireson, Oak Cottage, Fence Piece, Chigwell. 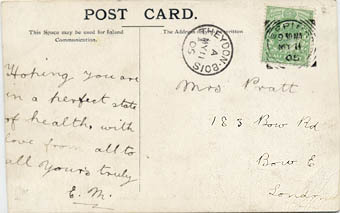 Part of a "Picturesque Counties Series 2 Undated and Unused. 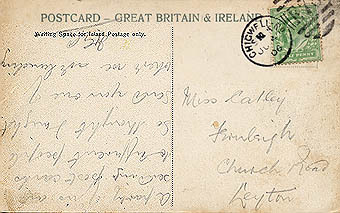 I have enlarged the legend on the reverse. 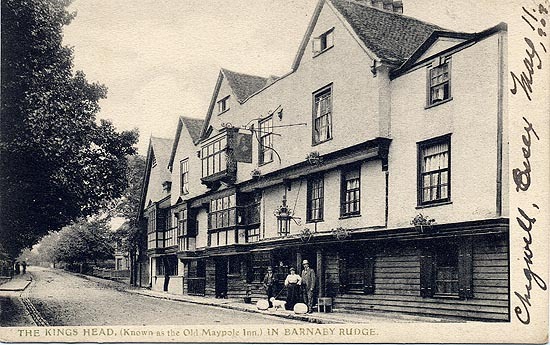 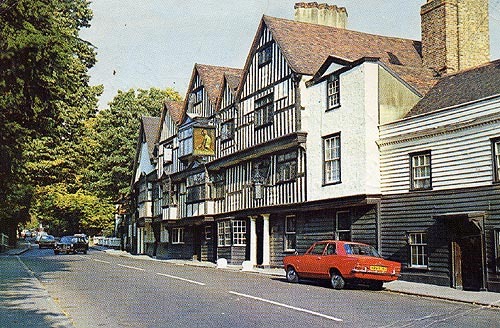 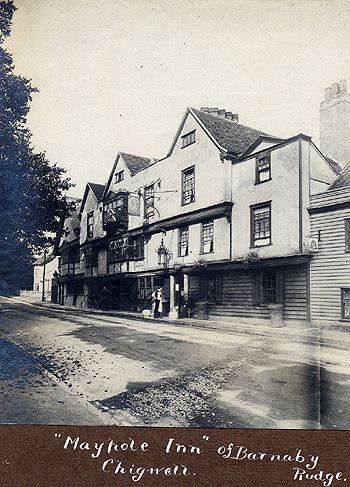 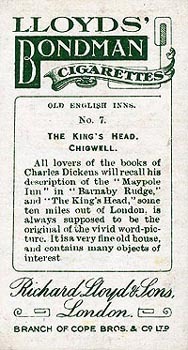 The Maypole Inn in Dickens Barnaby Rudge is thought to be synonymous with the King's Head. 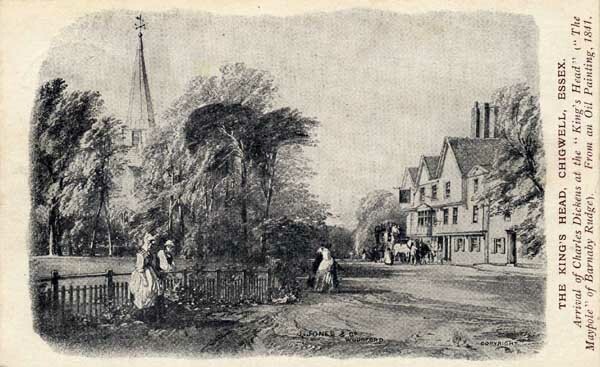 from an original watercolour by A. R. Quinton. 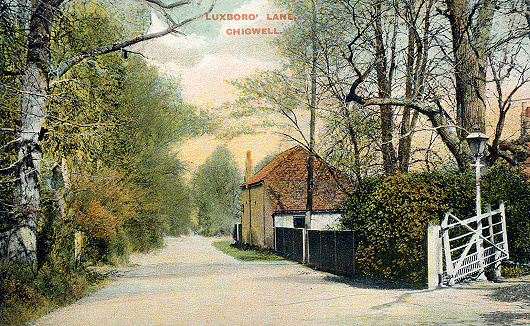 Published by J. Salmon, Sevenoaks, England. 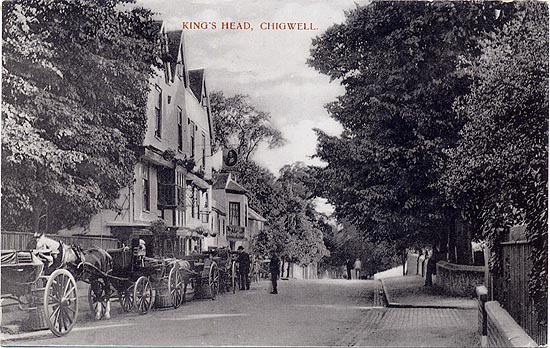 The Kings Head, Chigwell, Essex. 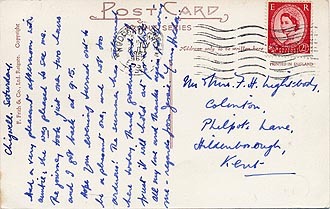 Publisher: S. Jones & Co., Woodford. 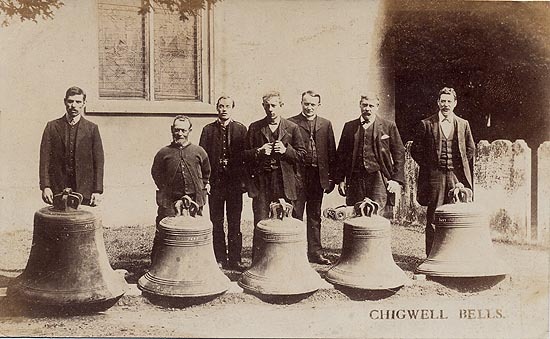 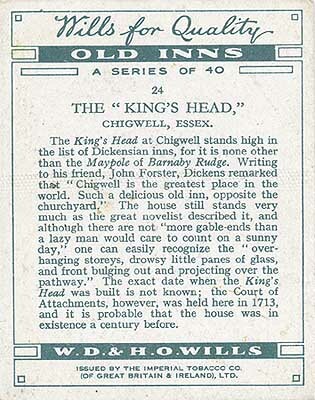 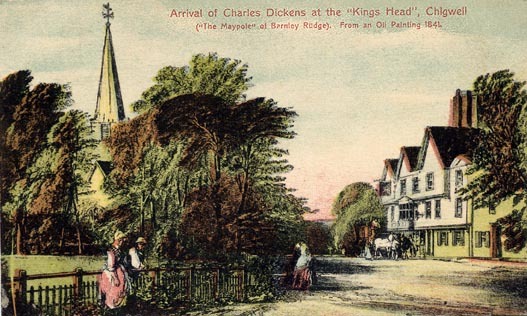 Arrival of Charles Dickens at the "Kings Head" Chigwell. 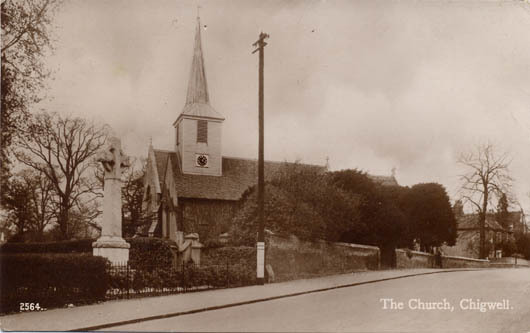 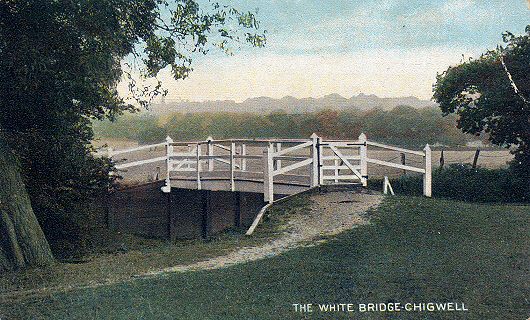 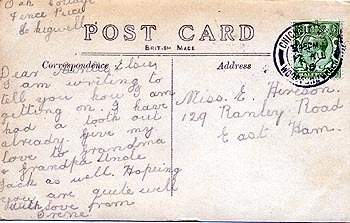 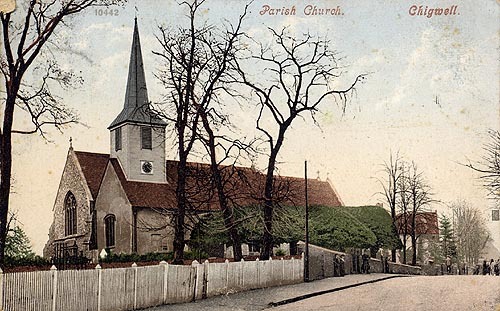 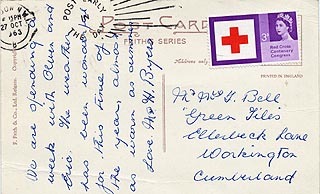 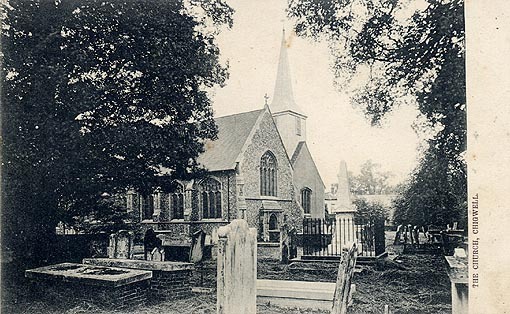 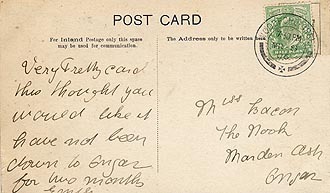 Posted: Woodford Green, March 8th 1906. 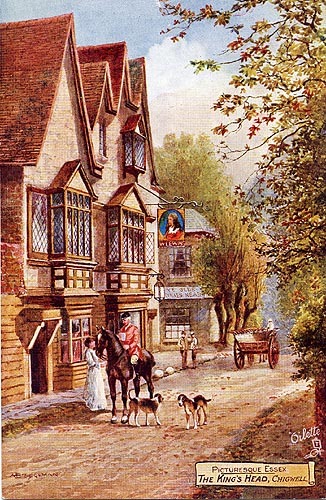 No publisher, but coloured picture of above. 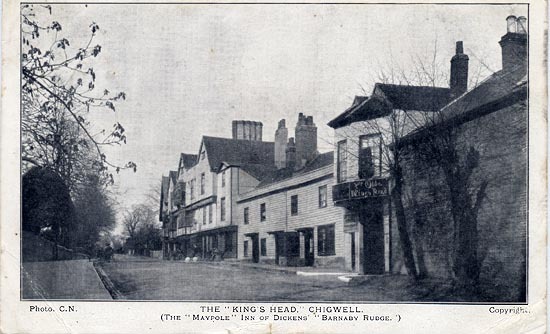 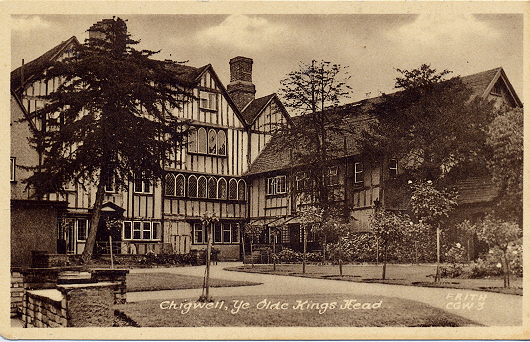 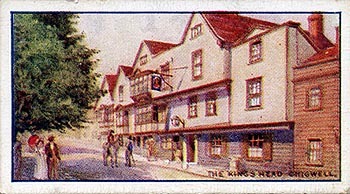 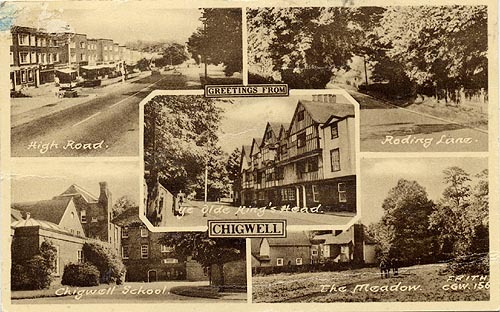 The King's Head, Chigwell. 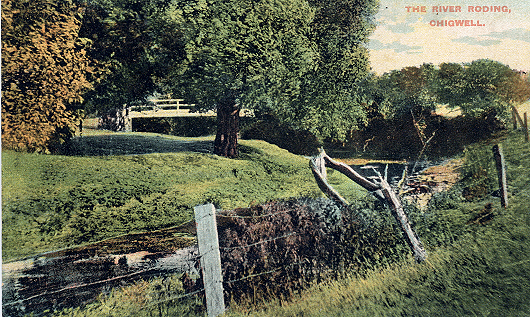 S6350. 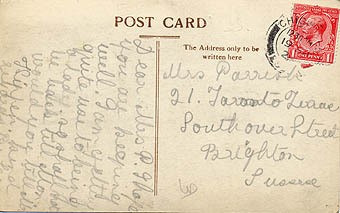 Undated but ½d postage inland. 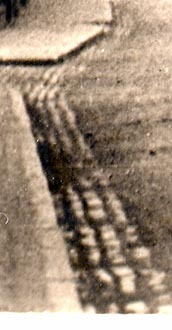 What appear to be parking lines are in fact cobbled gutters. 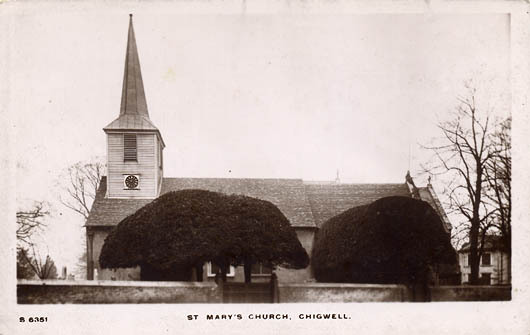 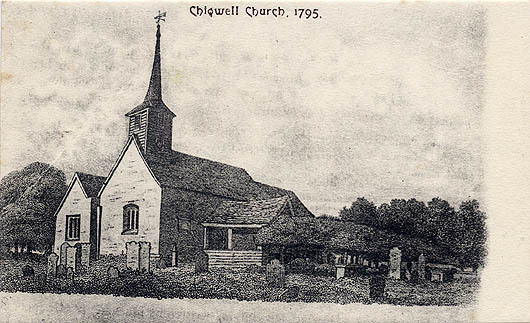 Publisher: 238 Charles Martin, London E.C. 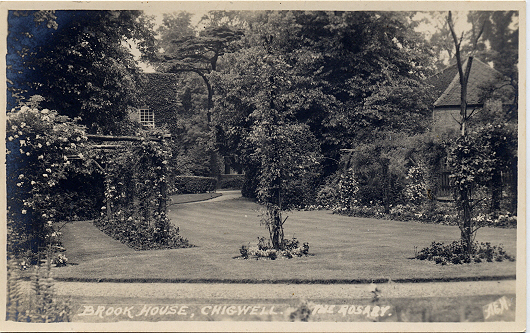 Picture from a photograph album attached to backing paper. 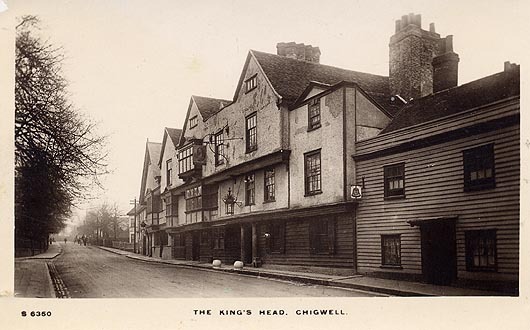 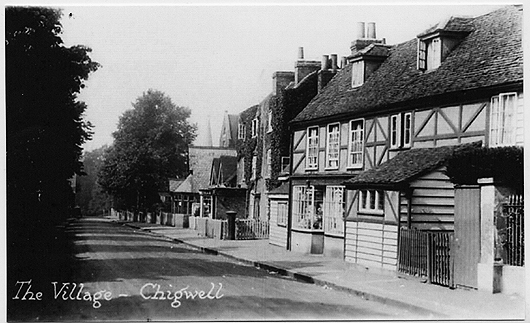 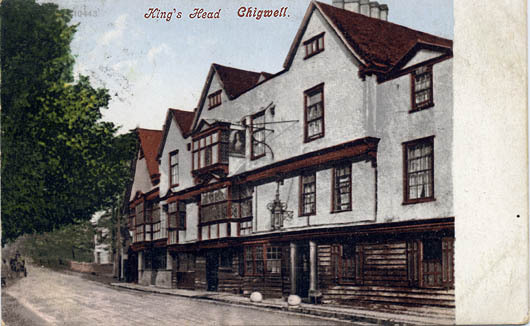 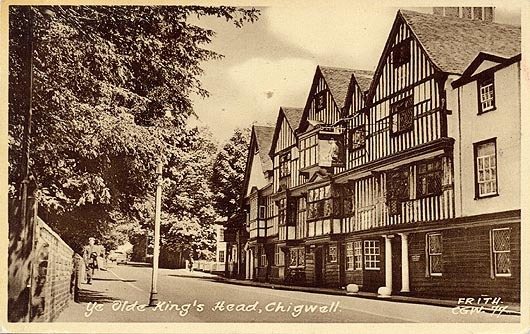 Chigwell, Ye Olde Kings Head. 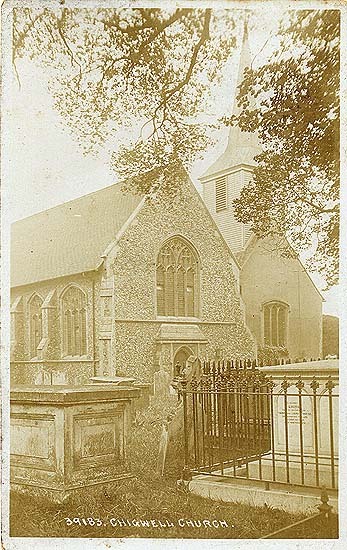 Undated but possibly contemporary with above. 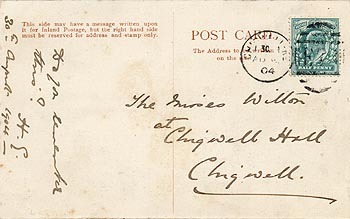 Postage: George V One penny. 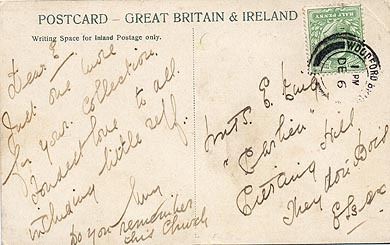 The stamp at this angle is thought to mean "A kiss"
Edward VII Halfpenny Light green . 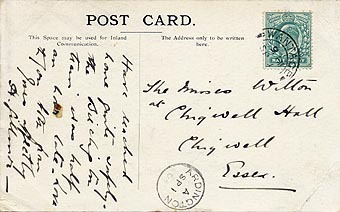 W.A.Field, South Norwood, London S.E. 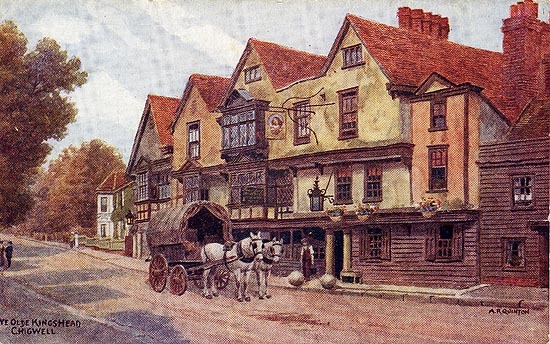 Publisher: Cranley Commercial Calendars Ltd., Ilford, Essex.